Universal Rock Water Features are the lightest and most realistic artificial fountains and waterfalls on the market today. 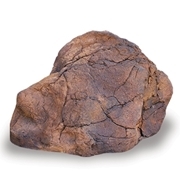 One person can easily lift any of the Universal Rock products on our web site. Constructed of a material similar to pickup bed liners, these durable products will not lose their finish- even when scrubbed with a wire brush!